Caution! 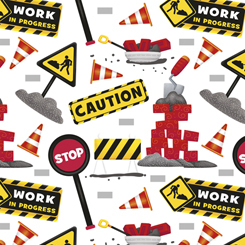 Lots of Work in Progress is going on with this new designer ©Tickles for QT Fabrics. Big trucks, powerful machines, and lots of plans are happening in this boisterous collection for kids of all ages. Grab your hard hat and start your next great project!